Franklin Music Boosters is a group of dedicated parents whose mission is to support our Franklin Music Department and every student involved in the wide variety of instrumental and vocal music programs in Franklin. Fundraising events, football games, concerts, competitions, festivals and trips are all a part of a robust music program and it takes a small village to put it all together. Elementary ukuleles were purchased with the support of a grant to introduce string instruments early in our schools. Sound shells were purchased for the new FHS auditorium. Over $7,500 in private music lesson scholarships awarded annually. 2017-18 we awarded 33 middle school and 6 FHS students. A variety of senior scholarships awarded every spring. 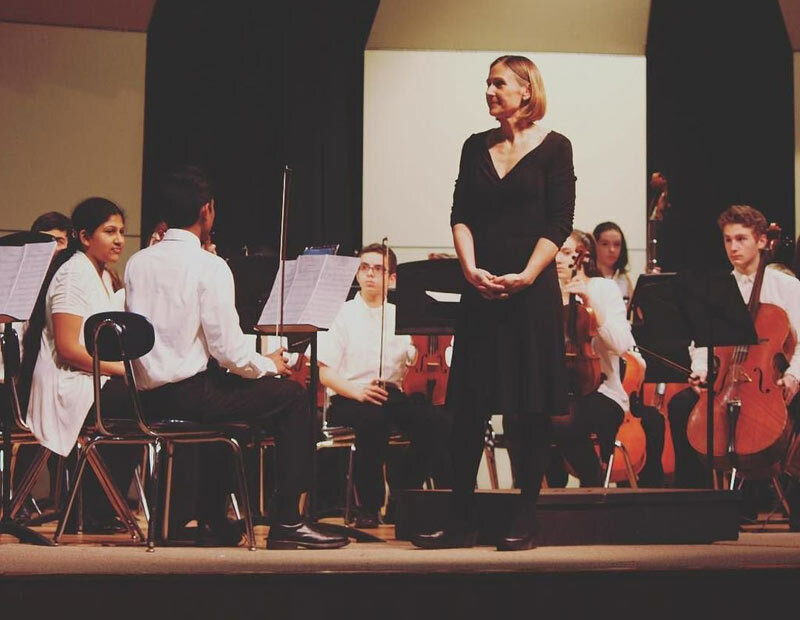 Hire guest conductors and instructors for our middle school and high school ensembles. Concert accompanist for choral and chamber performances. $1,000 annually for wish items for the teachers to use in the classroom. Create "side by side" opportunities for middle school and high school students to perform together. Opportunities to have FHS/MS artist in residence program. Most recently this was supported for our jazz ensembles. Hosts music social events both at the high school and middle school levels fostering a close-knit music community. Transportation to events such as MICCA, Districts and All-State Festival. We are a registered 501(c)3 non-profit organization. All donations to Franklin Music Boosters are tax deductible.